The economical option for small establishments, shops and offices. Single Lane machines are perfect for places where the consumption of beverages is consistent but limited. Easy hassle free mechanism helps you maintain it with ease. Perfect for Commercial Establishments and Medium Sized Offices, Shops. The best seller of the lot for a lot of reasons. This popular double mode options comes with amazing speed, consistency in taste and unfailing sturdiness. A Machine that offers refreshing choices like never before. Treat your staff/customers with monthly specials, apart from the regular tea/coffee. With a machine like this, so reliable and maintenance free, life really becomes easy! 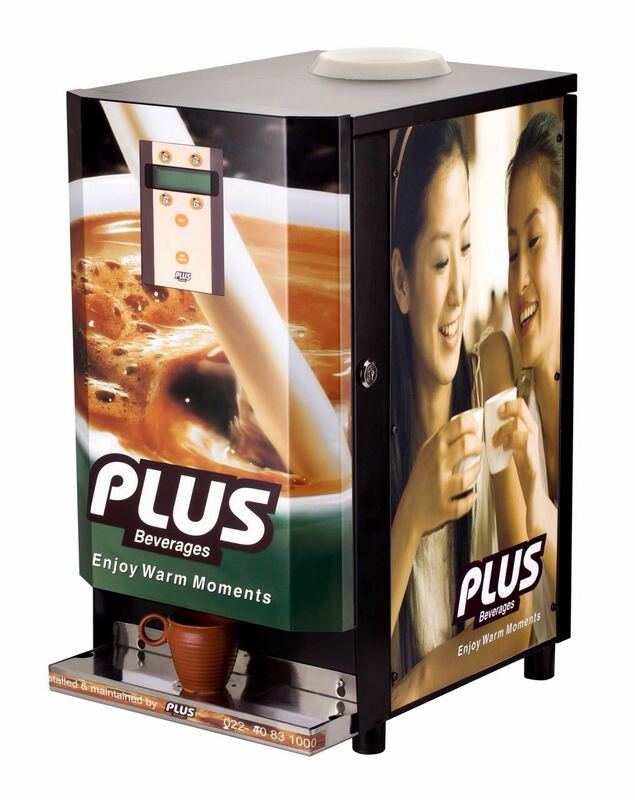 Our Six Lane vending machine dispenses different combination of beverages at a time like Tomato Soup, Black Lemon Tea, Tea, Coffee, Hot Chocolate, Dry Fruit Masala Milk, etc. This machine is easy to handle and suitable for multi-tasking and widely preferred for its speed and convenience. Perfect machine for large organizations and IT companies. A specialized model which dispenses thirteen products at a time. It is mostly used on international level because it offers custom based hot beverages like Tea with sugar/without sugar, Tea with milk/without milk, Coffee with sugar/without sugar, Coffee with milk/without milk, Black Tea with sugar/without sugar, Black Coffee with sugar/without sugar. With this machine enjoy the choice of combination and refresh yourself. A recommended model for IT companies, BPOs, Call Centres and MNCs.